Adobe released an update to Adobe Flash on Thursday after critical vulnerabilities were identified in the previous version of 10.1.85.3. 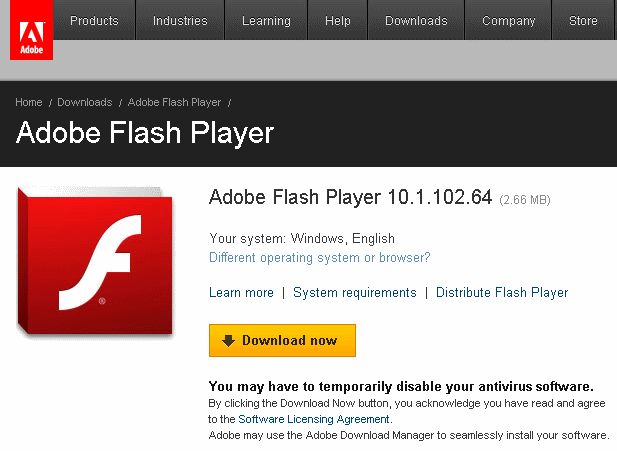 Common sense and the related Security Bulletin recommended upgrading to the latest version of Adobe Flash, version 10.1.102.64. Upon heading over to the Adobe site, I noticed the site has been a little updated, probably in preparation for the Adobe Acrobat X release this month. In a previous article, I provided direct links to the latest Adobe Flash installers, the executables, because Adobe had some very user unfriendly elements on its download page like the checked-by-default McAfee scan and wanting to install browser addons, GetPlus+ or Adobe DLM, to allow the download. With the site revamping, it appears the extras have been removed and you can now download just the executable with a single click from the Adobe Flash Player download page. Hopefully this is more than just a temporary change, it is certainly a welcome one. The download process seemed almost too easy when really it was just the normal process. More people are likely to keep their software up to date if the updating process isn’t needlessly complicated and I believe Adobe would prefer that its customers be protected. The direct links in my earlier Download the latest Adobe Flash for Firefox and IE without any extras still work and allow you to download the latest Adobe Flash but it’s good to see that Adobe currently has removed its GetPlus and Adobe Download Manager. These addons have caused me plenty of headaches at work and at home for the past two years. Based on the comments people have left here regarding these annoyances and the amount of traffic Adobe DLM issues brought to 404 Tech Support, I know I’m not alone. 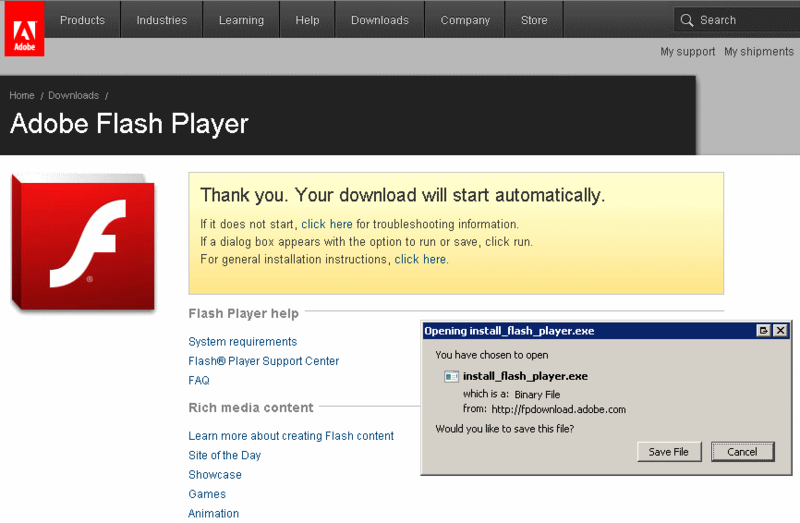 Here’s to hoping Adobe learned their lesson since the getPlus Helper hasn’t been without security incident itself. It must have been too good to be true. Adobe Download Manager is back in place when downloading through Internet Explorer though Firefox currently remains unimposed. It also recommends downloading the Google toolbar.